Spread over 6 acres of landscaped gardens; and resembling a 14th century Royal Palace, Vivanta Hari Mahal offers you Rajasthan's legendary hospitality along with comfortable opulence. With its Moghul-inspired domes, enameled murals, slender columns, and grand interiors sheer fantasy comes alive. Charming air-conditioned rooms feature original wall paintings, large windows and every modern amenity. 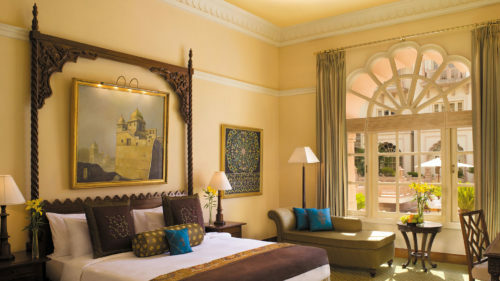 One can also experience the historical grandeur by staying in the Premium Temptation Suite, outfitted with every luxury. 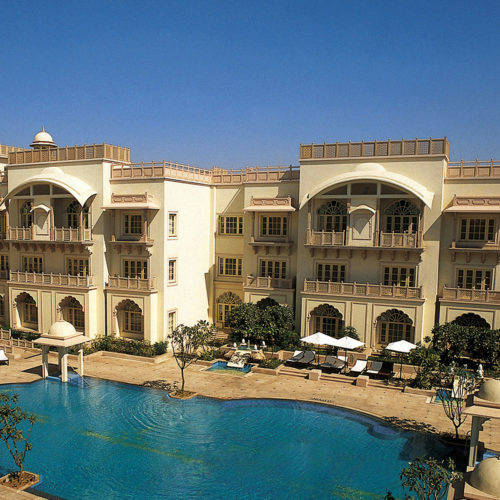 It also features a jharokha (suspended balcony) overlooking the pool. Some of the facilities include a pool, spa, gym, games room and library. 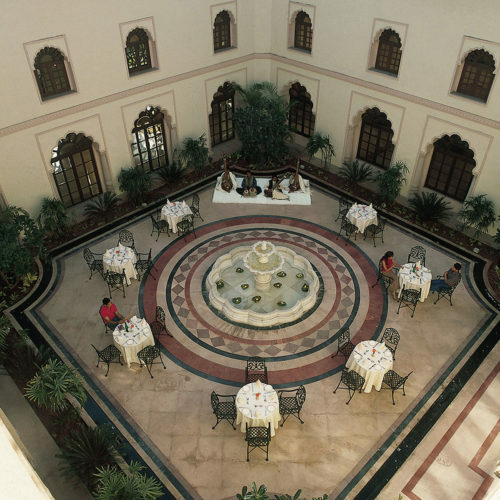 Located just 5kms from Jodhpur airport, the hotel is also close to the city's vibrant bazaars. This is the perfect oasis in the desert to experience the charm of this by gone era.